Professional and tailored consultancy services to help you get the most from social media. Our services are completely flexible, and we can provide you with the level of support needed to fulfil your goals whilst remaining suitable for the time and other resources you have available. We can help you to understand, incorporate and manage the use of a particular social media platform, including Facebook, Twitter, LinkedIn, WordPress and other blogging tools, YouTube and many others. We can design a complete social media strategy for your business to acheive your goals with the time and resources you have available. Receive guidance on how to manage your chosen social media presence yourself after the initial consultancy services, or choose to continue utilising our services and have us manage your social media for you. Work with us to develop and manage a social media campaign for a particular one off service or event. Whether part of a business, school, society or team; we can help you exploit the power of social media to network, market and promote. We can provide one off consultancy meetings or continual, long term support – the choice is yours. Want to use social media to help you reach your career goals or other personal use? Whether it’s to find the job you always dreamed of or for more people to join your monthly book club, we can provide consultancy to individuals looking to use social media for specific personal requirements. From one off advice sessions to continual, regular support, we can cater for all levels of assistance required. 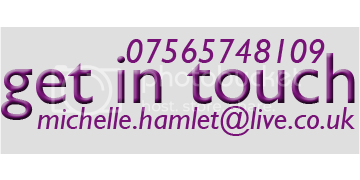 Please contact Michelle for an informal discussion about your requirements.